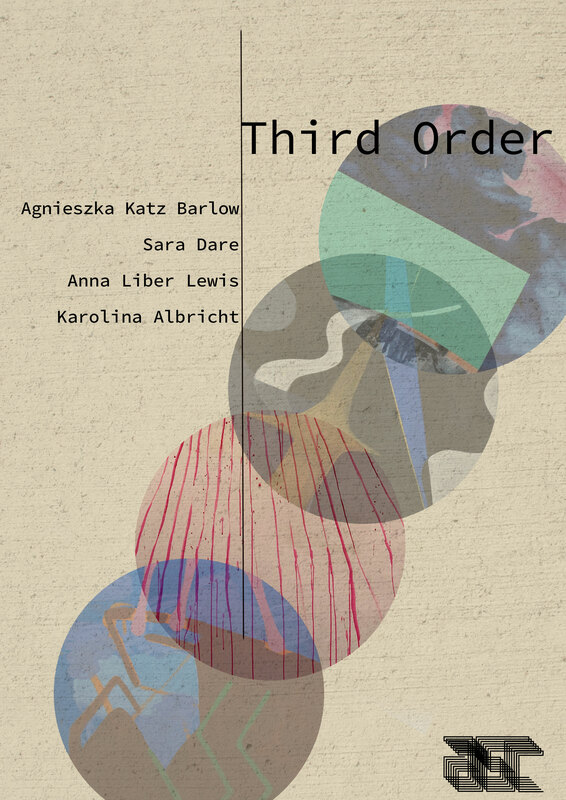 Third Order focuses on recent works of four female artists who push, pull, tug and examine the boundaries of figuration and abstraction in contemporary painting. The exhibition is not rooted in all-governing ideas,but embraces the subtle ambiguity of working between the familiar and the unknown. Personal narratives are created through different working methods, subjects and paint specific understanding of shape, colour and texture. The artists, following their visceral urge, develop a dialogue based on underlying search for the equivocal form. Not settling for a chosen camp or dogmatic structures, Third Order upholds an honest and unguarded approach to painterly exploration. Agnieszka Katz Barlow’s paintings are made up of vibrant layers of colour and wayward flat shapes that act as surrogate figures. Katz-Barlow tends to avoid binary ideologies and instead embraces ambivalent spaces and anarchic identities. Interested in visual intellect and composing ideas from an internal digested pulp, Agnieszka lets her painting be a balancing act of opposing paradoxes. The narratives and spaces she creates are fictions that originate from, and can only exist within the language of painting. Sara Dare is a painter and installation artist. 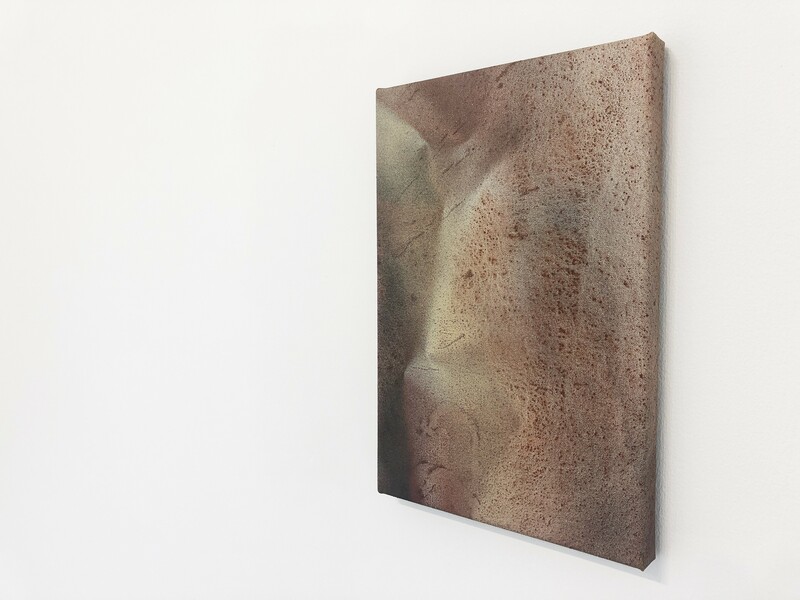 Her practice explores themes of the relationship between process, environment, scale and ambiguity of form through an abstract and instinctive language. Playful and often psychologically charged shapes examine concepts relating to repulsion, lure, conflict and proximity. Sara’s approach incorporates the awareness of the environment surrounding the work and she currently investigates site-specific painting and installation of oversized work in an architecturally challenging environment. Karolina Albricht’s empirical approach forms a constant enquiry into human nature. Her work resonates as a human experience of duality, which applies to both formal and narrative aspects of her practice. Albricht uses elements of abstraction and references the familiar form, allowing the intended and intuitive to meet. The exact moment where two of the opposing forces meet injects an element of tension into her work. This is what then becomes a reoccurring, obsessive feeling or presence in her painting. Polish-Swedish artist Agnieszka Katz Barlow was born in Krakow, Poland. She grew up in Uppsala, Sweden and lives and works in London. Katz-Barlow received an MFA from Slade School of Art, London in 2015. She has exhibited in London, Berlin and Poland – most recently at the 31 Celsius with ASC gallery curated by Paul Carey-Kent, APT gallery selected by Alison Wilding. In 2015 she was awarded the Barto dos Santos memorial award and shortlisted for Bloomberg New Contemporaries. Her work is held in private collections in the UK and the US. Devon born Sara Dare currently lives and works in coastal Sussex. She graduated in Fine Art Painting at The University of Brighton in 2008, she then received a postgraduate certificate in education in 2010. Alongside her practice Dare works on inclusive and educational creative projects with diverse community groups and audiences. Since 2005 she has worked with Project Art Works in Hastings. Dare was recently awarded a solo show at Rye Creative Centre, selected by Paula MacArthur and Victoria Howarth. She has shown her work in group and solo exhibitions throughout the South East and London, including The Other Fair with Saatchi-Art. Anna Liber Lewis lives and works in London. She received her BA from Central Saint Martins and gained her MA from the Royal College of Art in 2015. She recently won the Griffin Art Prize and the Ingram purchase prize 2017. Previous awards include The Genesis Foundation Scholarship and the London Group prize 2013. Anna’s work has been shown throughout the UK and Europe and is held in private collections here in the UK. London based artist Karolina Albricht was born in Krakow, Poland. In 2008 she received an MFA from the Academy of Fine Arts in Cracow. In 2007 she also completed Socrates-Erasmus at ArtEZ Institute of Fine Arts in Arnhem, the Netherlands. Albricht has exhibited across Europe and was selected for various competitions including ArtGemini Prize (Public Choice Award) and Arte Laguna Prize. She has been previously shortlisted for the Royal College of Art Summer Exhibition, the Threadneedle Prize and National Open Competition. Her work is held in private collections across the world.